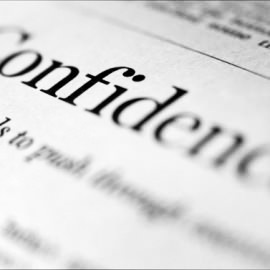 Self-confidence is one of the most important qualities of professional photographers, in fact, professionals of all types. Without self-confidence, they’re unable to focus on the task at hand, which is to satisfy, even exceed, their customers’ expectations. Plus, professionals wouldn’t be able to make much of a living as a photographer if they didn’t have the confidence to find assignments and do the work successfully. Among hobbyists, enthusiasts and even experienced amateur photographers, a lack of self-confidence is often a by-product of boredom, or having trouble finding or recognizing new and interesting subject matter. If you’ve experienced such an impasse or a feeling of being in a photography rut, then the best solution is to take action. It’s certainly important to analyze your situation, but it won’t change if you allow yourself to suffer from the photography mopes and fail to take definite steps to regain your self-confidence. That’s how this PhotographyTalk article intends to help you with the following action steps. Improve your state of mind. Self-confidence resides between your ears. If you don’t think confidently, then you certainly can’t act confidently. This applies not just to photography, but also your life, your career, your relationships, etc. What you might need is to develop or expand your mindset, to learn how to view the world differently, and not just photographically. Before you can do that with your camera, you may find it very beneficial to work on your personal development. It’s an enormous field, with books, seminars, discussion groups and many experts whose only job is to help people develop and focus their perspective; and self-confidence is often a major focus of personal development programs. By improving the general you, which could have many positive effects on your life, you will also generate a new creative outlook for your photography. Add photography to your other interests. It’s likely you have other interests and/or hobbies in your life. Make photography a part of these other interests and you’re apt to find new subject matter that attracts you, which will start your creativity on a new path. You’ll see an escape route from your boredom and that alone often generates self-confidence. To enjoy your other interests and hobbies, you must have a deeper understanding, a broader picture, of them than those that don’t share your hobbies. It should be much easier to recognize new and exciting subject matter than if you were approaching your hobbies as an outsider. A mistake of many beginners, and even experienced photographers, is to think that you must photograph something, anything, because you have your camera with you. The presence of your camera almost forces you to find interesting subject matter; and when you don’t immediately, you become frustrated, which leads to boredom. You’re less likely to travel this path if you schedule a regular photo session without your camera. Leave your camera at home, but still explore some part of your world with a photographic eye. The place could be as familiar as your home, backyard or the local community park. Sit quietly and just watch how the light illuminates the scene or subject. Look at the same scene or subject at different times of the day and notice how the light changes, and changes the look of the subject matter. Then, move throughout this little piece of your world, viewing it from various angles and positions. Look at it from a low and high perspective. Simply erecting a stepladder in your backyard and climbing to the various steps will often allow you to see the overly familiar in totally new ways. Another somewhat simple solution to your photography boredom is to shoot with a new piece of equipment. This doesn’t have to be an expensive solution, in that you purchase a new lens, etc. It’s quite easy to rent any kind of photography equipment; and it’s a much more affordable way to kick start your creativity and regain your self-confidence. Another major source of stimulation is other photographers. 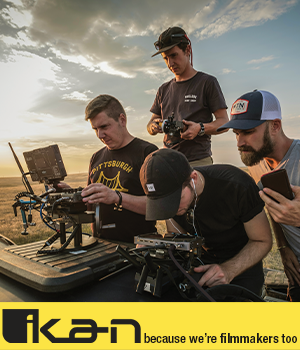 Regardless of their skill level and experience, virtually all of them have suffered from the same lack of interest and inability to see new subject matter for their cameras. You should find it very therapeutic to talk with other photographers and share your challenge. Ask them how they overcame their boredom. You don’t have to look any further than PhotographyTalk’s Forum to find many photographers who would be happy to help you. Sharing ideas and photos is often an excellent motivational method to rekindle your passion for photography, see the subject matter you are missing and exude much more self-confidence when you take on the world with your camera.